Most of us would like a whiter smile, and to get it, you might be tempted to go out and buy a do-it-yourself whitening kit to try at home. Sure, these systems are cheap and relatively easy to use, but are they really worth the cost? Or, could they actually damage your teeth? Find out more about the risks associated with these systems. Without a dentist's help, home teeth whitening systems can have spotty results. The bleach concentration in home systems usually ranges from 10-20%, but most DIY bleaching kits don't indicate the exact concentration on the box. Without knowing how strong the bleaching agent is, you could end up choosing one with a lower concentration that provides ineffective results. The enamel is the protective layer covering your teeth. This is often the portion of your tooth that is stained, and home whitening systems will use chemicals like hydrogen peroxide and sodium bicarbonate to try and remove them. Erosion of the enamel can occur if these two substances aren't used correctly. The bleaching agents found in your DIY system could cause damage to the gum line because the strips and trays used are one size fits all system. 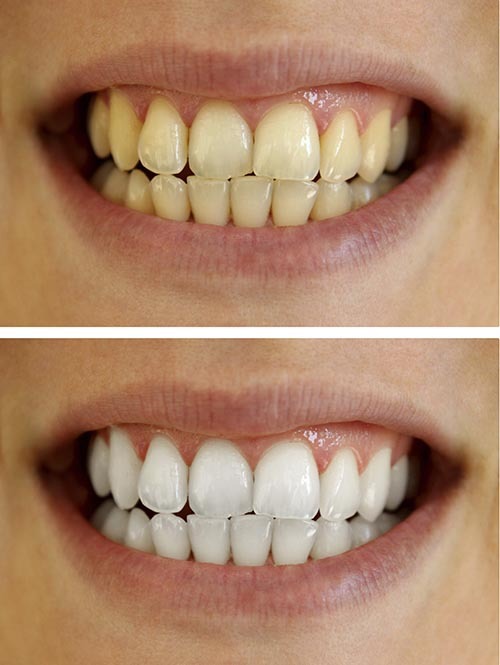 If the whitening agent ends up connecting with your gums, you could bleach them, as well. Considering that your gums are extremely sensitive because of the thousands of nerve endings found here, that isn't what you want to happen. Professional teeth whitening solutions are both stronger than these home systems and are more likely to get you the results that you are looking to achieve. If you do decide to try a DIY system, please contact us for recommendations on which brand or variety will be the best fit for your unique teeth.